ShortRound from Ontario, Canada. I've been wanting a Boxster for some time now and things just haven't worked in my favour...always putting it off for a number of reasons/excuses. 2017 and 2018 have been probably the worst years of my life and I decided I needed make some changes, starting with finally getting my Boxster. Really just an excuse to get out, drive and put smile a smile back on my face. I have located what seems to be a nice '97 986 nearby, which i hope to go and take a look at. Price is sort of the middle range of what they are going for in the Province. It's a little more than what i wanted to pay but it has a few upgrades and the LN bearing according to the seller. Hopefully it's everything the seller makes it out to be and I can finally cross one more item off the bucket list. Thank you! Fingers crossed that I can post pictures soon. I thought I would bounce this off the members for their opinion. I'm used to BMW e30's and Boxsters are a new thing for me. The car in question is a 1997 model with Silver/red interior with 145,000km (90,000miles). Big items that stand out to me as a plus are the RMS, IMS, clutch and waterpump. Appears to be setup as a track car or Auto Cross. Also someone mentioned issues with using light weight flywheel on these cars isn't good idea, but I don't remember why or can confirm. I've owned my 86 e30 since 1994. 218K on the clock, one owner. 290K on it now. Anyhow... I thought that thing rode on rails... until the 986. Night and day. Apples and oranges. Adam and Eve. Chuck and Larry. Get a PPI. Post pics. Welcome! silver and red is the best colour combo in my opinion - i'd trade a kidney to get a red (or cocoa) interior. looks like the po put a lot of effort into the engine, with less attention to suspension - this may be a place that you will need to put $ in the (near) future. think of it as an opportunity to replace wear items with new bits that best meet your expectations of the car (softer, stiffer, lower, higher, etc.). otherwise, is it at a dealer? if so, consider borescope and a leakdown (or compression) test. this will tell you the health of the cylinders. and get them to run some data from the computer - overrevs, cam deviations. the first will tell you how the car has been treated in the past, and the second will tell you the health of the cam drive system. I have an euro '89 318is, with bilstein/eibach and love the way it handles. If the boxster rides as you say it does, then I feel bad for my e30. It's silver/red is my favorite colour combo, but if the car doesn't work out then colour trumps condition, but it's such a classic combo. It's a private sale outside of Toronto. The current owner has had the car taken care of by an apparently renown local independent Porsche Shop. I know it's best to get a PPI done by a different shop but distance and logistics make that difficult. If his shop is as reputable as they say then I will most likely have them work on the car in the future. Does a standard PPI outside of a dealership include a compression test, cam deviations? or is this something that i need to request. I was unaware that a ltw flywheel could be cause for concern. It's been there for over 2,000km and a few years. I have one in my e30 and while there is a bit of chatter it hasn't given me any issues in over 150,000km. I suppose the 986 motor is a bit more delicate than a 1.8 16v. The owner mentioned that he had work done with an emphasis on reliability. well, i've not a lot of experience w ppi's but i'd suggest they vary in detail depending on who does them (ie, there is no set script for these things). personally, i'd have no problem having the same shop that has serviced it do the ppi, and also have a conversation with them about the car - they know it best. any shop can do the compression, etc., stuff, but you need a specialty computer for the computer stuff - if the indy is as renowned with porsches as stated then they should have this. again, i've not a lot of experience with this; hopefully the collective IQ will chime in. When I purchased my boxster, i was lucky enough to happen to know the second owner, also got positive words concerning the independent mech. I called both and asked their cadid perspectives, owner had all receipts of the work done as well. I still use the same mechanic, excellent porsche wrench. The previous owner had a ppi done, he put 3K on the car in 3 years, after talking to the previous owner and mechanic I deemed additional ppi probably a waste. I'm sure you'll be impressed with the 986's handling and performance.. at the end of your test drive, PPI will be your best friend. And if you decide to let go of your E30, i'd be interested. Good Luck on your search ! The owner mentioned that Auguste Automobile Service in St. Catharines has been responsible for working on the car. Does it ring a bell? I am going to look at the car on Saturday. If it is to my liking then i will try to schedule a ppi for later in the week. There's also a nice looking Black 2002 S closer to me with the same km's and apparently replaced IMS 2 years back for the same price. You are lucky that you knew the owner, so it definitely helped in your situation. I have been burned in the past when dealing with unscrupulous people. If i was buying a Toyota Camry or a BMW then I would know what to look for, but Boxsters are new to me. So a ppi and a conversation with the mechanic is a good idea. 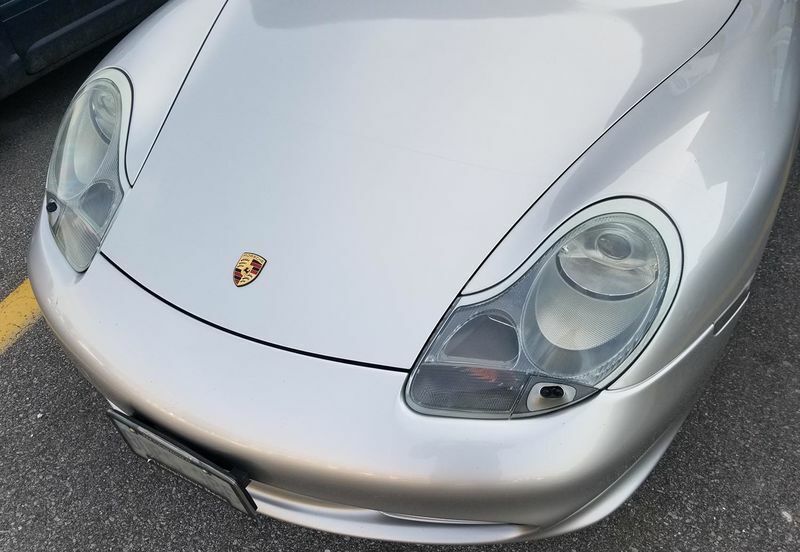 Gracias por la aportacion, disfruta del Boxster. This is what I am afraid of! I am in the middle of restoring the e30 and bringing it back to TO, with the intention of it being my forever car. But Condo living means I have to be selective. There was a nice looking M50 swapped 325 on kijiji listed locally a few days ago. 02S is much more car. Definitely a much more powerful car, and it looks beautiful. To be honest i'm not a huge horsepower guy. I prefer a well planted car over rocket ship like speeds. Had words with the owner, says maintenance was done by a friend with a garage, no receipts from him or previous owners. So that sort of puts me off. Nice silver one just popped up in the classifieds here. I haven't really had any serious seat-time. Maybe tonight I will give it a shakedown. Nose looks nice, waiting to hear your after driving review! Nice spanish hehe, but Ibam actually American, wife is Spanish so landed in Spain! . Have fun! Nice place to land. Great roads out there for the Boxster to stretch it's legs, and the ladies aren't too bad either ; ) Just watch out for the Pegasus Choppers. I worked in Seville for a few years, but I'm back home in Toronto now. I have a vacation home in Chiclana for whenever I want to get away from the cold. I'll post initial impressions in the gallery along with pictures of the car. Small world, I live in Utrera! Lol maybe we can met sometime when your in the area. Getting too many damn cameras now too. Lol, very small. If I decide to escape the cold this winter I will let you know. The Cruzcampo's are on me. Sounds fun, Tapas are on me then! Was just down in Conil couple of weeks ago first time. Enjoy the car!